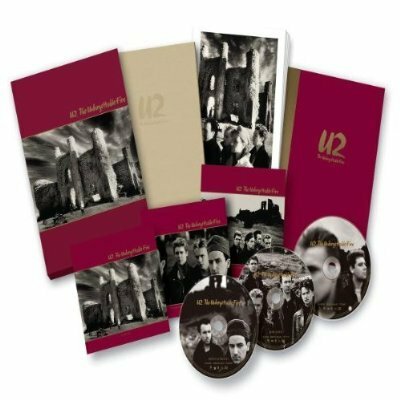 U2's fourth album, The Unforgettable Fire, was released in remastered form in 2009 to mark 25 years since the album's original release in October 1984. 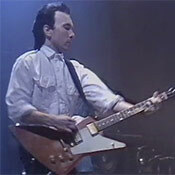 Recorded at Slane Castle, Ireland, The Unforgettable Fire was the first U2 album to be produced by Brian Eno and Danny Lanois, and spawned two top 10 UK singles - 'Pride (In The Name Of Love)' and 'The Unforgettable Fire'. 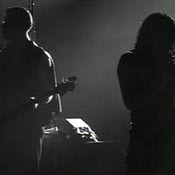 Special formats of the new release, remastered by The Edge, featured bonus audio material, including two previously unheard tracks from the Slane Castle sessions: 'Yoshino Blossom', and 'Disappearing Act' (a track which the band completed for the rerelease), and a DVD including music videos, a documentary and unreleased live footage from the Amnesty International Conspiracy of Hope Tour in 1986. - Limited Edition Box Set: containing 2 CDs (remastered album and bonus audio CD**), a DVD with live footage, documentary and videos, a 56 page hardback book with liner notes by The Edge, Brian Eno, Danny Lanois, Bert Van de Kamp and Niall Stokes, and 5 photographic prints. For many, "The Joshua Tree" was their first introduction to U2. That album -- a tight, cohesive collection of 11 well-crafted songs, each a masterpiece in a different way -- has understandably become the gold standard by which all future U2 releases have been measured. 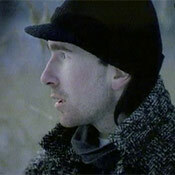 But it can be argued that without "The Unforgettable Fire", "Joshua Tree" would not have been the album that it was. Consciously rebelling against the stereotypes and typecasting that could have consumed them after "War," the band famously "broke up" (in the words of Bono) at the end of the War tour, reuniting a few months later with a new attitude, a new spirit, and two new producers who would become their creative collaborators and muses for the next twenty-five years. As a result, the album retains a timeless quality that still sets it apart nearly thirty years later. In an era where the vitality of a pop song lasts almost as long as the song itself, "The Unforgettable Fire" endures as a testament to the band's creative energy and restless spirit. Rejecting traditional song structures, the band exploration of each song on this record results in an album that comes closer than anything to jazz stylings. (No wonder then that Miles Davis is said to have requested to listen to the album as he lay close to dying.) 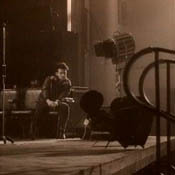 From the travelogue of "A Sort of Homecoming" through the war chants of "Indian Summer Sky" to the peaceful lullaby of "MLK," the album's best qualities -- its exploration and experimentation -- are retained and embellished on this reissue -- in particular, the work of Larry Mullen Jr., who particularly shines on this remaster. Danny Lanois said that the drummer got more attention on this album than previously, and the force and subtlety of his innovative work clearly emerges in these refurbished mixes, nowhere moreso than on the gorgeous remastered "Bad". The bonus tracks give a more fully-realized portrait of the band on this record -- a band experimenting in the studio, playing with new sounds and new colors, and in the process crafting an extraordinary album both subtle in its craft and potent in its power.